I finally got to see it in person. The most haunted house in #Ohio the #franklincastle ❤️ It is so beautiful. Rumor has it…the Logan Inn in #NewHope is home to 4 individual ghosts. 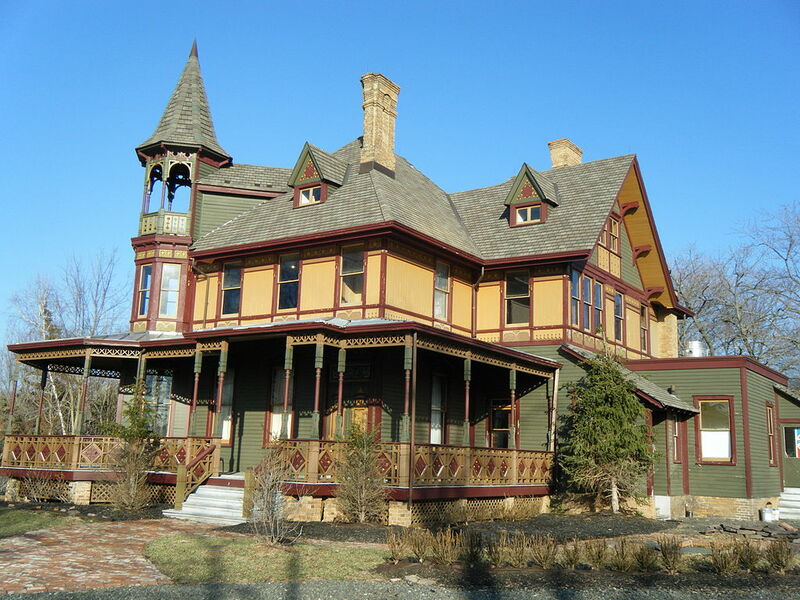 Have you ever had a spooky encounter in #BucksCounty? Overnight in the Winchester Mystery House: think you can handle it? Tag a friend who you think could last through the evening at one of the most haunted places in the world! Built in 1799, The Octagon House is also known as the Colonel John Tayloe III House, for whom it was built. Tayloe lived there with his 15 children and wife Ann Ogle Tayloe who had offered the house to the French consulate in the hopes of sparing the it from destruction at the hands of the British during the invasion of Washington in August 1814. After the burning of the White House at their hands, President James Madison and his wife, Dolley moved into the Octagon and paid the Tayloes rent for their six month stay. During that time Madison himself and his wife both agreed the house was already very haunted even though it was just over a decade old. Of course, Dolley is said to haunt here (along with everywhere else in Washington) holding her famous ghostly receptions which she was so fond of in life. She is also supposedly most often seen in the front hall and drawing room, and the smell of lilacs is noticeable whenever her ghost is present.